As part of the natural ageing process, fat often accumulates on the male tummy. Also, there is a redistribution of fat on the hips and abdomen. Despite exercise and diet, this may be challenging to shift. In most cases, this can be removed by liposuction alone, and often it is combined with an abdominal reduction. In severe cases, an apron of skin may hang down over the pubic area and cause minor skin infections in the fold, especially in hot weather. In males, this is normally following extensive weight loss. The most suitable patients for abdominoplasty surgery are individuals with excess skin on the abdomen that has not contracted back following extensive weight loss. It should not be considered as a method of weight loss and usually performed when the patient’s weight has stabilised. This operation, which takes approximately two hours, is carried out under general anaesthesia and generally requires a one or two night stay in hospital. In thin people can be performed under local and twilight sedation as a day surgery. An incision is made just above the pubic hair, the skin/fat flap raised; excess fat and skin are removed. The remaining skin is pulled down tightly and repaired. The navel will remain in its exact position. 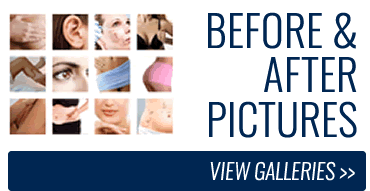 How long is recovery from tummy tuck? Recovery after this operation is usually a slow process. It takes one-two weeks to become fully mobile and 4-6weeks to do strenuous exercise. Patients are often left with a numb area in the region between the scar and the navel. It will recover fully in 6 months. In the initial period there will be swelling above the horizontal scar which will improve over a period of three months or so as the lymph tissue establishes new channels of drainage. When you awaken from the operation you will be lying with your knees bent and supported on pillows to prevent any stretching of the abdominal skin. There may be a drainage tube coming out through the skin of your pubic area below the operation site. This will be left in place for 24-48 hours to prevent any build-up of fluid. You may find it difficult and uncomfortable to stand up straight due to the tightness of the abdomen however this will improve within a day or two. 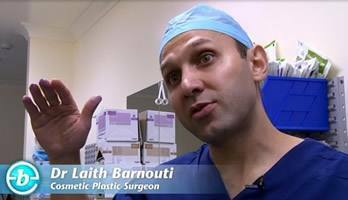 An abdominoplasty is a major operation and should be respected as such. As with any surgical procedure there is always a risk of infection or wound separation. In addition, a possible complication is the accumulation of lymph fluid (seroma), or blood (haematoma) that may need draining. This procedure leaves horizontal scar running from hip to hip above the pubic area, which should be low enough to be hidden by shorts or briefs, and a small circular scar around the navel. The central area of the horizontal scar, in particular, is at risk of wound healing problems, which will involve frequent dressing changes but will eventually heal. Occasionally a minor scar correction under local anaesthetic is necessary to improve the appearance of the endpoints of the scar.